On Thursday 2 May there are local elections in which you can have your say on who represents you at a local level. Local government elections select councillors, who are responsible for making decisions on running services in your local area. These include education, transport, planning, parks, leisure, public safety, social care and waste management. 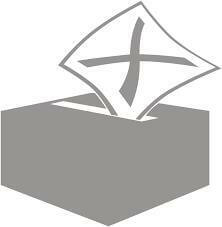 In order to vote in this important election, residents must be on the electoral register. The deadline to make sure you’re registered is just two weeks away and Bradford Council is urging residents who have not registered at their current address to make sure they are registered in time. The deadline to register to vote is midnight on Friday 12 April. Anyone can apply online at www.gov.uk/register-to-vote or by calling Bradford Council on 01274 43 1360. It takes just five minutes. If you have recently moved home or have never registered to vote, register now. If you know someone who is not registered to vote, perhaps someone in your family who has recently turned 18, encourage them to register to vote today.